Switzerland is betting on physical gold. Its pension fund has boosted bullion investment, switching from US-dollar-backed paper securities. 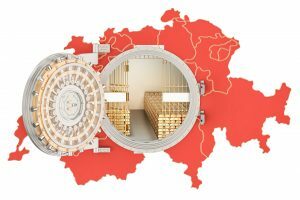 “The Swiss government pension system decided to change from paper gold in the amount of 700 million CHF into physical gold and store it in Switzerland. The 700 million only stands for 2% of the total assets, but it is quite a surprise that they do this,” Claudio Grass, an independent precious metals advisor, said. “Physical gold is the best way to hedge as well as to accumulate wealth over decades,” said Grass. If you had purchased $100,000 of gold in mid 1970s, it would be worth more than $2 million now, he said. Another reason the pension fund wanted physical gold was that they understand that paper gold represents only a claim on gold in a highly leveraged paper gold market, Grass explained. Grass said that countries are noting the geopolitical shift from West to East, and that is why they are buying more bullion instead of US-dollar-based paper. “The last geopolitical shift that started with WWI and ended with WWII put the US in a dominant position, and it owned and stored 70% of the gold reserves of the free world… Now we can witness another geopolitical power shift, with the rise of the East,” he said. Global debt continues to grow, with more than 65% of all the world’s monetary reserves in US dollars. “Holding physical gold is definitely the best hedge against all sorts of fiat money risks, but from a central bank perspective it is definitely the best hedge against a weakening dollar that is on its way to reaching its intrinsic value, which is zero,” Grass said.